Like a delicate cake with thick strawberry-raspberry cover and red berries for dessert, a flower composition of red, pink and cream roses with hypericum berries will make the heart beat faster in anticipation of a fine and sweet flavor. 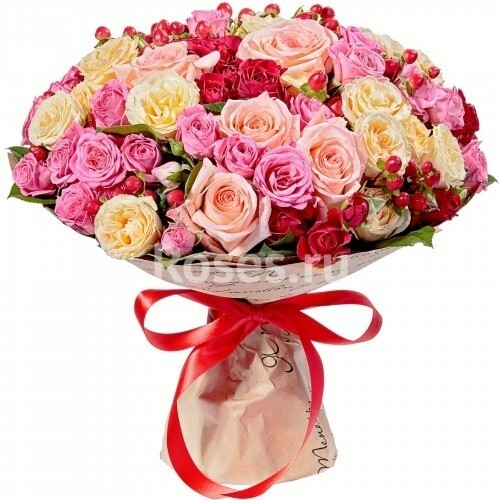 This bouquet will be a great compliment and a sign of attention! Spray red rose 2 pc. Spray pink rose 2 pc. Spray red rose 4 pc. Spray pink rose 5 pc. 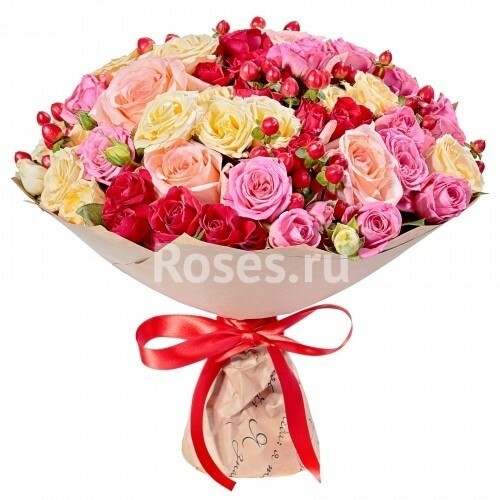 Spray red rose 6 pc. Spray pink rose 7 pc. 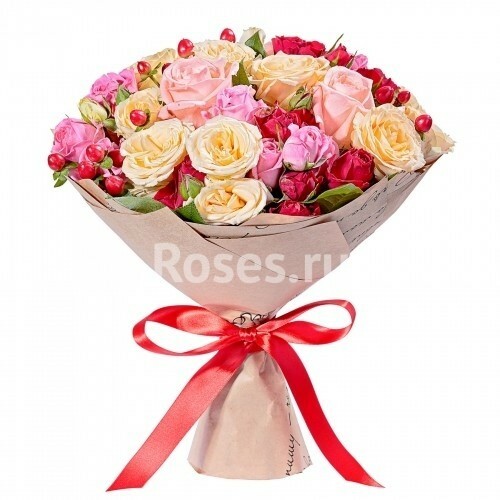 Spray cream rose 6 pc.